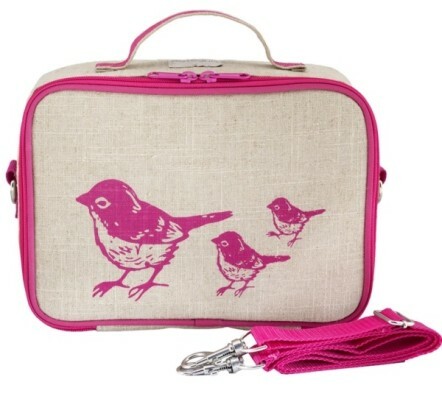 Tags: girls lunch box, pink-birds, soyoung. 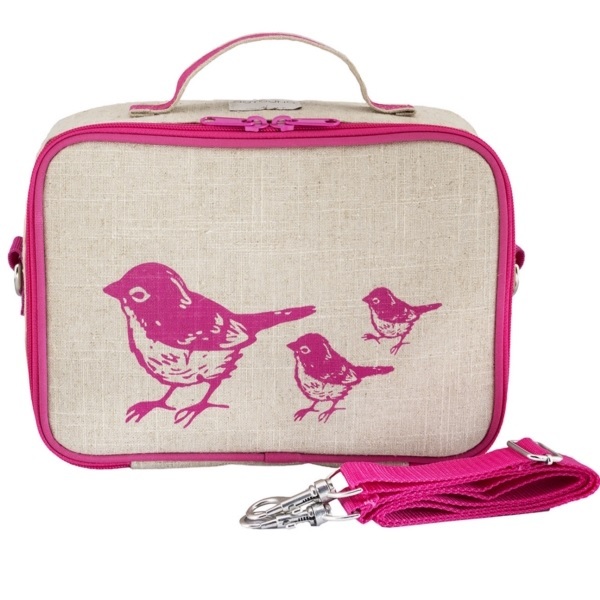 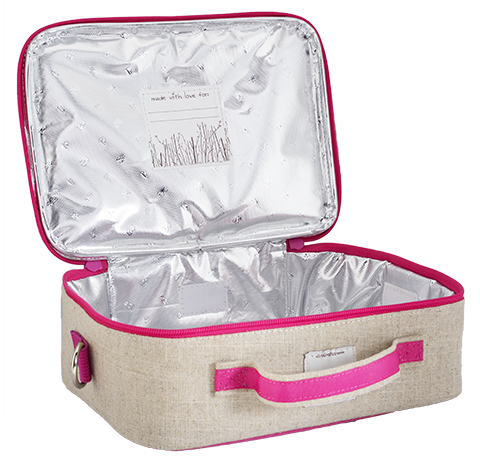 The NEW SoYoung Eco Linen Lunch Box in the Pink Birds design is made of durable raw (ie: UNcoated) eco linen. 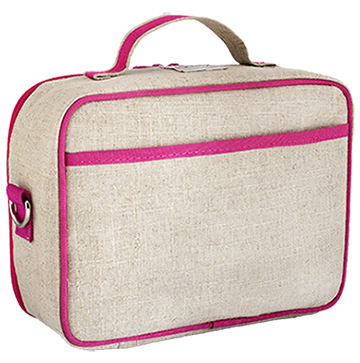 Clean, modern feel and retro-inspired design paired with machine washability make this design one of our new favourites! 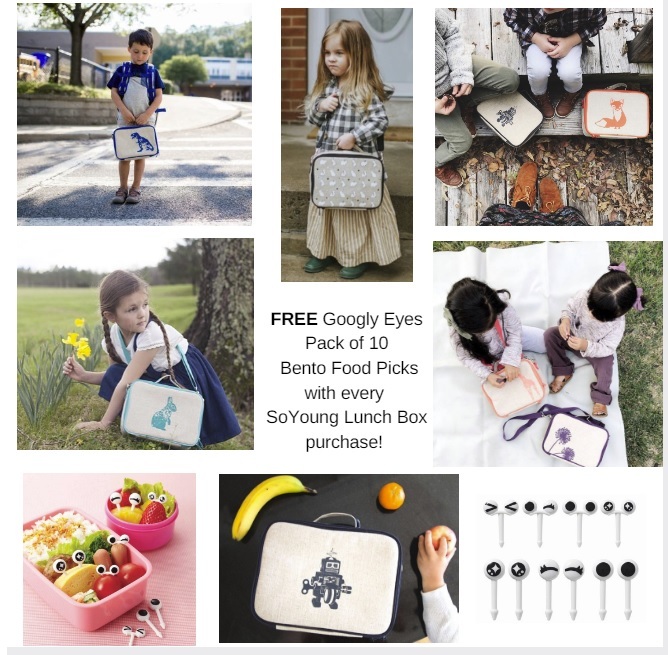 SoYoung Lunch Boxes are stylish and of excellent quality. 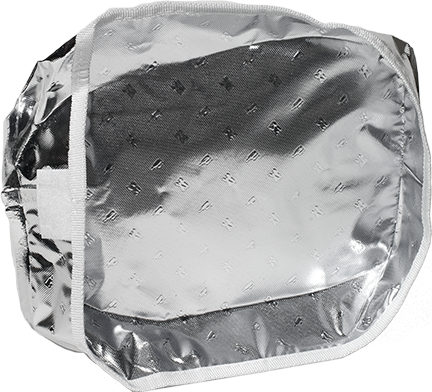 They can be worn either messenger or backpack style.